Installing a bar in your man-cave garage? Maybe you need a sink in your laundry room? A Better Way can install new water piping for any size of project. 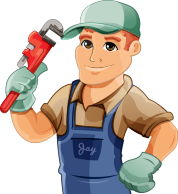 If you need your entire plumbing brought up to code, or just need to fix a leaky pipe, we’ll do it right. A Better Way Plumbing & Heating Calgary can install and repair all the water piping in your home, restaurant or business.